Although Monica’s looking forward to catching up with her friend, she says: “Christmas in England is boring compared to back home”. She’s used to the hustle and bustle of vehicles and public transport continuing to run throughout the 25th. “Everyone would go to church in the morning, and then after that there’s a huge feast. Everyone cooks so much food – lots of rice, meat, vegetables, soup and fufu, a kind of semolina-like paste made from plantain and cassava powder,” she says. “We’d spend the whole day going round to different people’s houses, wishing them merry Christmas and a happy new year, and we’ll have something to eat in each house – or take something away. My mum used to do desserts too, which is something you don’t normally get in African households. It’s all about the food! And plenty of music and dancing too,” Monica adds. 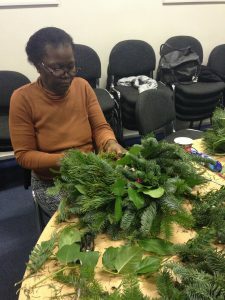 For Sarah, from Uganda, the lack of public transport is the biggest inconvenience of spending Christmas in England. She too is used to a busy Christmas day, with lots of people traveling from place to place, visiting friends and relatives. 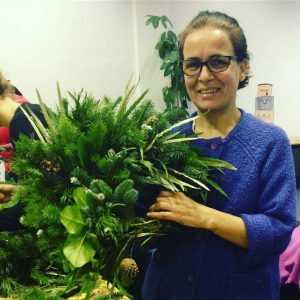 This year, she’ll be spending Christmas at a friend’s house, with a group of other refugee women. “Everyone will cook at home and bring a little bit, and then we’ll all share together,” Sarah explains. Her contribution will be traditional African food: “I’m going to cook green banana – you boil and mash it, and then eat it with chicken or fish,” she says. 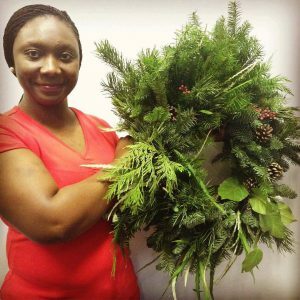 For her, the best thing about spending Christmas in England is the smell: “I love the smell in the air when the weather changes from autumn to winter – it’s like this wet, cold smell, and it just smells like Christmas,” she says.